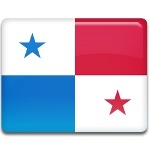 November is the most joyful month of the year in Panama, because its first days open the Independence Month. There are plenty of reasons for celebration, including Colon Day, that annually falls on November 5. Celebration of Colon Day is connected with the history of independence of Panama from Colombia. The USA assisted Panama in separation from Colombia, but the latter didn't want to recognize independence of Panama. Officially Panama declared its independence on November 3, 1903, but the battle didn't finish. The government of Colombia ordered the Army to march on Panama City. On November 3, 1903 the Panamanians had to stay their grounds in the city of Colon, that is a strategic place near the Caribbean Sea. The Panamanian officials did their best to persuade the Army of Colombia not to participate in the process of separation of Panama from Colombia. The negotiations were successful and this day became a landmark in the history of Panama. Celebration of Colon Day is also a Panamanian version of Columbus Day. However, Columbus didn't found the city, he only visited Navy Bay, encircling the island where the city of Colon is located. The city was founded as a result of the California gold rush, and the gold diggers named it Colon in honor of Christopher Columbus (Cristóbal Colón).